Celebrities seek her unique nail know-howand now it's just a click away. 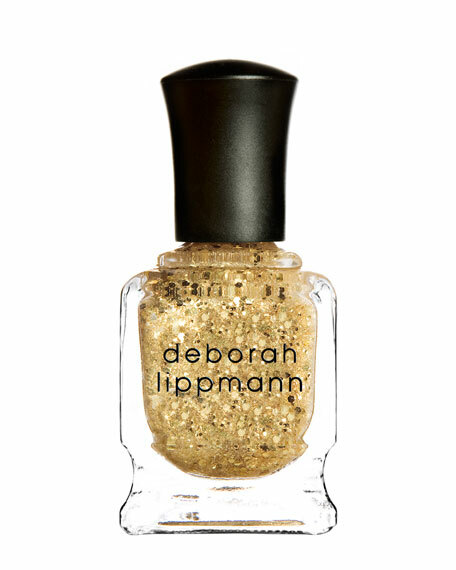 Introducing the new nail line from celebrity manicurist Deborah Lippmann. Boom Boom Pow: Glamorous gold glitter contains 24-karat gold dust. In 1999, celebrity manicurist Deborah Lippmann launched her eponymous line. Boasting more than 45 long-wearing shades, along with specialty treatments for nails, hands, and feet, the Deborah Lippmann Collection is frequently featured in fashion magazines and spotted on runways and red carpets. For in-store inquiries, use sku #208922.